V.V.S depicts the events of the Feds coming and taking several people from his city into custody. The single can be related to by so many that live in the urban community. The hook grabs you almost instantly and you will find yourself singing it after the song has ended. The track is produced by @astenrey & @sickbeatsprob and it goes hand and hand with the content and feel of the song. The songs alludes to someone close snitching and getting the federal case started. "Snakes in the garden, rats in the kitchen". This is the lead single for V.V.S new EP "Righteous" set to release summer 2018. Get the single "When the Feds Came" on all major streaming platforms. 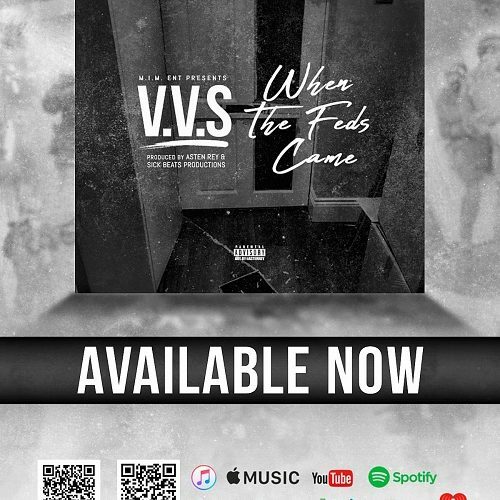 *ITUNES - V.V.S - When the Feds Came!! *SPOTIFY - V.V.S - When the Feds Came!! *GOOGLE PLAY - V.V.S - When the Feds Came on Google Play! !